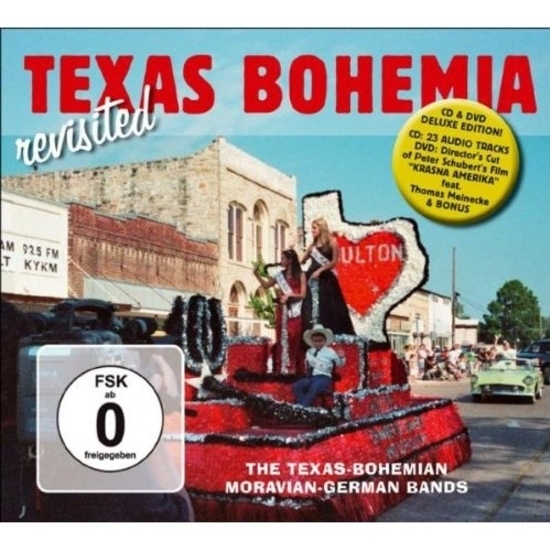 One consequence of the revolution of 1848 was the expatriation of progressive Germans to the New World, which took many revolutionaries to the Central Texas Hill Country and surrounding areas. Living in Central Texas today, it is still possible to find elderly speakers of an antiquated German in towns like Fredericksburg, New Ulm, Utopia, New Braunfels, San Antonio, Shiner (home of Shiner Bock beer, a Texas Brauhaus staple) and forgotten villages like Sisterdale, founded as a commune and frequented by Karl Marx’s sister, among other progressive German intellectuals and adventurers. Living alongside Czech, Polish, Moravian and Bohemian expats with whom they discovered a certain musical and cultural affinity, the Germans sided with the Union and abolitionists among them helped escaped slaved make their way to freedom, for which dozens of German draft resisters paid dearly at Confederate hands in the 1862 Nueces massacre. The language was successively repressed in the wake of the World Wars, but some descendants proudly study high German in school today, and a sociolinguist at the University of Texas has been documenting Texas German dialects for some time.